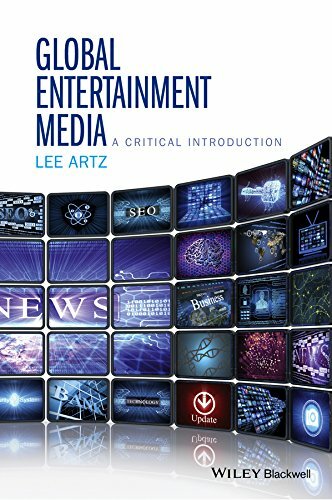 This accessibly-written and critical introduction investigates the crucial role that global entertainment media has played in the emergence of transnational capitalism. Using case studies of action adventure movies and community media, itbreaks down sophisticated theoretical concepts, including a concise explanation of cultural hegemony, into engaging and student-friendly commentary. Global Entertainment Media offers clear explanations of the complex relationship between international political economy, entertainment media, global culture, and cultural hegemony. Incorporating an array of features designed to facilitate students’ engagement with the ideas and arguments presented, it includes fully-integrated call out boxes with definitions of terms and concepts, and lists and summaries of global media. Perfectly balancing provocative criticism with clear explanations of complicated theories, and unpacking cultural hegemony as a primary analytical concept, this book will be essential reading for any student of international communication or global media.